First, congratulations to Kristen Kilpatrick! You’ve won a copy of A WHOLE LOT OF LUCKY from Danette Haworth. Please email me your mailing address at kmessner at kate messner dot com so that Danette can get your book in the mail. It’s a double-dose Mini-Lesson Monday on Teachers Write today, with guest authors Karen Day and Danette Haworth. Feel free to do either or both assignments & comment to let us know how it’s going! 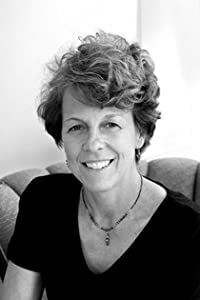 Karen Day is the author of middle grade novels, TALL TALES and NO CREAM PUFFS, and A MILLION MILES FROM BOSTON, all published by Wendy Lamb/Random House. 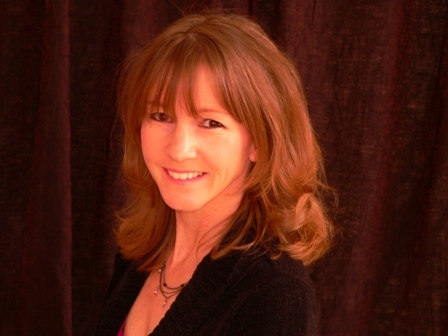 Karen’s love of reading and writing has taken her through careers in journalism and teaching. She can be found at www.klday.com. And Karen’s chatting with us today about how to keep moving forward with writing…when you’re stuck. You finally started that novel you always wanted to write. You brainstormed, made an outline, found a main character and plot. You set aside time to work. You made progress – several chapters are written (and it was easier than you anticipated)! You feel good about it. Inspired! You’re so happy you found Kate Messner and the other writers/teachers this summer. You can’t wait to wake up and work. Then one day, perhaps quite suddenly, something changes. Your main character seems flat. The tension has fizzled. The plot has disappeared. You don’t know where to go, what to do. You forget what your novel is about. You get discouraged. You weed the garden and clean your closet. You decide not to write for a couple of days. You think you have to start over. You wonder if you’re a writer, after all. If so, do NOT despair. You’re experiencing something that every writer, both published and unpublished, experiences. Expect to be lost at multiple times in your first or second or even third draft. It’s part of the job. Don’t let it scare you. To help, I thought I’d give you a couple of suggestions to keep you going when times get tough. I often resort to one or two (or all of them) when I’m working on early drafts. Hang in there. Take a deep breath. And don’t give up! 1.) When writing a first draft, you must write every day. This will keep your story fresh in your conscious and unconscious mind. Don’t worry if all you have is 15 minutes. Sometimes you can get a lot done in short amounts of time. The important thing is consistency and forward momentum. 2.) Don’t circle back and rewrite early chapters until you have a draft finished. When writing, I always keep paper next to my computer where I list the changes I’ll make in the next draft. If you continually make changes, you’ll never finish a draft. Besides, how can you rewrite the opening chapter when you don’t exactly know how your book will end? 3.) Which leads me to this point. A first draft is an ugly mess that I wouldn’t even show my dog. It’s filled with holes, melodrama and threads that appear and disappear with no resolution. It’s terrible. Which is terrific!! Because revision is where the real writing is done. But you can’t revise until you have something to work with. 4.) I lose track of my main theme/themes when I write, and so I always write the main ones (two or three) on a piece of paper that I tape to my computer. For example, while writing A MILLION MILES FROM BOSTON, I had this on my computer: Lucy believes, (mostly unconsciously), that accepting change in her life means rejecting her dead mother. So, when I got stuck, or wondered why I was writing a particularly scene, I’d look at that paper and say, how does this scene fit with my theme/themes? Or does it? 5.) Sometimes I’ll be 60 pages into a manuscript and lose my way. Then, writing an entire chapter seems daunting. So I tell myself that I’ll just write a scene. A conversation with the antagonist. A resolution. Something my main character discovers. I might write 10 pages or more of these short “scenes”. Out of this, I usually can get myself going again. Don’t worry if this part of your manuscript doesn’t look like the other parts. Remember, it’s a draft! 6.) At different places in a draft I’ll stop and assess. Has my plot shifted? Do my characters want different things than they I thought they did? Is the antagonist no longer the antagonist? This is okay, of course, but you might try and write up a new synopsis. It will help you stay focused. Maybe you’ve tried these suggestions, and others, and nothing works. You’re still stuck. How do you know when to abandon something? Several times I’ve been 50-60 pages into a book, then put it aside. But I never totally abandon anything. I might pull out characters or plots and use them elsewhere. Sometimes when you’re stuck, it’s because your story isn’t “quite right.” The setting is off. Or maybe the wrong character is telling the story. So, here is today’s writing assignment: if you feel stuck, and none of these other suggestions work, try writing a couple of chapters from your antagonist’s point of view. Or a minor character’s point of view. Is this awkward? Easier? Should the entire story be told from this point of view? Or does the exercise help you see your original narrator more clearly? Good luck, write well, and I’m happy to respond personally if you want to send me an email: klday1@verizon.net. Danette Haworth is the author of great middle grade novels like VIOLET RAINES ALMOST GOT STRUCK BY LIGHTNING, THE SUMMER OF MOONLIGHT SECRETS, ME AND JACK, and coming in September, A WHOLE LOT OF LUCKY. Learn more at her website. Danette’s here now with a special Flash Fiction Challenge! Shot cheating husband. Jail not bad. Flash fiction is a compressed story form. Sometimes called microfiction, postcard fiction, sudden fiction, short short fiction, flash fiction is a complete story told in five hundred words or less. Some define flash fiction as containing up to one thousand words, but, for me, one thousand words allows too much wiggle room; five hundred words poses a bigger challenge. In writing flash fiction, as in writing poetry, the writer must make use of potent imagery and say things in the shortest way possible. Wait, let me rephrase that: As in writing poetry, the flash fiction author must use potent imagery and write concisely. These two sentences say the same thing, but the second sentence has nine fewer words. With flash fiction, don’t expend your words explaining the nitty-gritty of the who, what, when, where, and why; instead, use only those details that will evoke for your reader more words and images than you’ve actually written. Let’s go back to the six word story above. If we were writing a short story with a conventional word count, we’d be able to give the shooter’s name, and the husband’s, too. We’d know if they lived in a penthouse or a trailer, if the wife had just come home from her job on the second shift, or if she’d discovered her husband’s car at that nice little B&B just outside of town. Shot cheating husband. I imagine that the wife has long suspected the husband of cheating and has finally caught him in the act. Maybe she was following him; maybe she stumbled upon this discovery. In any case, BLAM! She shoots him. It feels like a moment of passion, not something planned out. Cheating husband—well, that can imply a lot. He’s negligent, aloof, gone all the time—a player. By using the word cheating, we’ve told the reader all they need to know about the husband, and we’ve given the wife the motivation for her actions. We’ve gotten a lot of mileage out of that one word. Jail not bad. 911 call, arrest details, courtroom drama—we don’t waste precious words outlining these events. We imply the details and trust the reader to understand what’s transpired between words. By the second sentence, the wife has already been tried, convicted and sentenced. Rather than writing all of that out, we trust the reader to infer that the wife has been through the judicial process and is now incarcerated. We move on to the denouement, catching her in reverie, reflecting on her sentence. Her rage is so deep-seated that, for her, jail time is not a bad price to pay for alleviating herself of a cheating husband. One mistake some writers make when trying to write flash fiction is they write what is really an evocative sentence or paragraph—a piece that doesn’t have a beginning, middle, and end, but would serve as a great lead to a longer piece. I thought this one was funny when I wrote it, but it doesn’t work as a story because its impact is dependent upon the reader’s familiarity with the theory that the moon landing was an elaborate hoax staged by our government. Though we want readers to infer the unwritten information, it must be unwritten information we’ve intimated. We can’t rely on information they might not be familiar with. Suicide noose broke. Must lose weight. I had this picture in my mind of a person who thought he was depressed enough to kill himself, but deep down, he doesn’t want to die; he just wants things to get better, but he’s lackadaisical. Notice he doesn’t think of a more efficient way to kill himself; he determines instead that if the rope is to work, he will need to shed a few pounds, which will take time. Maybe he’ll try again; maybe he won’t. Even though I wrote these words, I can tell they don’t have the ability to convey all the details I’ve imagined. We don’t see much conviction here, and that lack of a definitive arc is why this six word piece doesn’t work as a story. Use strong verbs. In flash fiction, no one walks—they stride, straggle, lumber, etc. Choose names with the purpose of evoking income level and environment. Where do you think a young woman named Elizabeth might live? What about a character named Wanda? Omit adverbs and adjectives. Search for the word that will carry the most meaning on its back. Use contractions and fragments as long as they make sense. Sudden Fiction, edited by Robert Shapard, James Thomas. This title has several editions. I discovered the 1983 edition in the library. Warning: this is a gateway book; you may become addicted. Micro Fiction: An Anthology of Fifty Really Short Stories, edited by Jerome Stern. This book is the tip of the iceberg known as World’s Best Short Short Story Contest held annually by the Southeast Review, literary journal of the Florida State University. Annual edition the Southeast Review containing the year’s winners for the World’s Best Short Short Story Contest. WOW! Women on Writing! website. Read the archives of past winning stories, then check out the quarterly flash fiction contest! This is a great place to try your hand at flash fiction because the contest is usually judged by an agent, and you can opt for a critique, which you’ll receive whether or not your piece places. There are many more places and websites for you to read and submit flash fiction. I’ve listed the above entries because I either own them, have read them multiple times, or have submitted to them. Writing flash fiction is precision work. It really does take a lot of time to write a shorter letter! I urge you to try your hand at it. Even if you don’t get hooked as I have, this writing experience will carry over to your novel writing. You will write tighter and your story will not stray from its path. Now that I’ve done all this talking, I submit for your perusal my favorite flash fiction piece, “Manifest Destiny,” which won an Honorable Mention at the now dark website Whim’s Place (495 words). I originally wrote this piece for a contest in which the prompt stated that your five hundred word piece must include a credit card and making a car payment. Stick around afterward for your assignment. Ever since the cat started speaking, Lisa felt differently towards him. It wasn’t the same I-feed-you, you-love-me relationship. Now they had to talk; they had to read the newspaper, and recently, the cat wanted to watch the news when Lisa wanted to watch reality television. Lisa looked up from the bills at the orange and white cat curled up on the rug. He was watching the MacNeil Lehrer Report. That was the worst part, Lisa realized. The cat was smarter than she was. Lisa couldn’t stand his constant suggestions, his nagging. He made her spread out the financial pages and then he would cry out, “I told you to buy that stock!” He was right, of course, but Lisa couldn’t bring herself to listen to a cat. In fact, she couldn’t take the cat any more. As she ripped out the last car payment and slid it into the envelope, an idea formed in her head. Lisa waited for the commercials before addressing the cat. “We ought to take a vacation.” It was spring break next week and even the clerks in Admin had the week off. The cat would think so; he also enjoyed CNN and The History Channel. “Great!” Lisa said. She grabbed her credit card, threw a few things into her suitcase, and carried the cat to the car. Lisa drove straight for six hours. She could have stopped anywhere, really, but she felt she owed it to the cat to hit the Capitol. They arrived in the wee hours, parking in view of the Lincoln Memorial. When Lisa lifted the cat out of the car, she noticed his eyes had welled with tears. Lisa didn’t think she’d miss the cat, but she did. The cat had kept her feet warm at night and kept her abreast of current events. Lisa began to watch CNN. The president had ended the war and initiated peace in the Middle East; tonight he announced a cure for AIDS. When the news conference was over, the president reached into the podium, pulled out an orange and white cat, and held him close. Lisa gasped in her living room. The president raised the cat to his ear. It looked like cuddling, but Lisa stared hard at the TV screen. She could see the cat’s lips moving. Your assignment: Write a five hundred word piece (title not included) that somehow includes getting a cup of coffee. Think outside the box! A car payment and a credit card don’t scream Talking Cat! Go wild, but don’t go over five hundred words. Good luck! 0	of lazy, busy days. Cup and Saucer sat on the counter, plotting revenge. Saucer whispered back a plan. Minutes later, sun just up, Hands busily scampered in. Dark grounds spooned into paper filter, water poured into percolator – alchemy underway. Hands soon reached for Cup and Saucer and swung them close to the glass pot. Cup and Saucer could feel the inky liquid glowering at them with disdain as it oozed to the fill line. Cup and Saucer collected themselves below the tilting pot and scalding Coffee’s advance. Just as Coffee poured down, Saucer signaled, “Now!” and jerked abruptly. Cup, too, wiggled himself enough to tumble away. Cup caught his breath, felt gravity. Cup’s trip went quickly. He clunked against Linoleum, bounced several times before coming to rest, relieved, never prouder to be plastic. Seeing his friend intact, Saucer smiled down. So funny. I was worried the cup would break, glad he was proud of his plasticity! I like the play on words of “acid demeanor” and “burns me up”. Oh, my gosh–Brian! Wonderful flash. I absolutely love the anthropomophism! This piece contains attitude and wickedly funny humor. I love everything about it. In only 244 words, you built suspense and had me rushing to the end to see what would happen. “Cup’s trip went quickly.” Magnificent first sentence to the climax. I thought he would shatter, as well, but the second sentence hit me with something I did not expect. It made me smile, and I felt attached to Cup, so I was relieved. Your denouement started in the second half of that second sentence and you closed the story so nicely. Your word play throughout makes this a dynamite piece. I hope you’ll submit “Coffee Talk” to one of the sites mentioned, or another place you find. Great lessons today! Thank you! Karen Day’s was perfect for me right now, so I tried my hand at writing from the antagonist’s point of view. Why do I want to be a famous psychic instead of a famous scientist? Well, for one, it’s got more mystery and allure. People make tv shows about psychics. I’ve never seen a tv show about a scientist—too smart, too distant. People cannot relate. And how smart of me to choose cats as my subject: cats are beloved, by most, if not by me. Personally, I can’t stand these animals, the smell, the hair, the way they meow. Although, of course, they aren’t meowing any more, at least around me in private. I make sure once they are on camera, that everything is related in cat language–English just won’t do. I don’t want that to get out there. Fame would disappear in a minute, and I love fame. It feels so fantastic! Nothing quite like it, so exhilarating. That’s why I have to dispose of those two boys. I don’t know how they found out about me. But if they say one word, one teensy-weensy word, I’m done. Everthing I’ve built so carefully will be destroyed. It’s either them or me, and of course I prefer that it is them. They must never talk again. McCauley will take care of that end of things. I rather not know how, where or when, it just needs to be done. Hi Diane – wow, two subjects close to my heart. Psychics and a dislike of cats (well, mostly because I’m afraid of them)! I’m intrigued by what you have here, especially in the second paragraph. You absolutely made me want to keep reading. Who are the two boys? Who is McCauley? Is the narrator evil? Too ambitious? Paranoid? Wow. Thanks for sharing. What did YOU learn doing this? Anything helpful? Maybe about the antagonist? Six words is a real challenge! Oh, I love this. She trusted and spread her wings. So brave and strong! My bio, at the moment, might not be so positive. Hmm. The telephone poem caught my writing interest today. Looking forward to trying it with my students! Reading, what a delectable treat! comfy sofas, kitchen chairs, floors, beds, wherever. Meeting new friends, catching up with old. I love the summery feel! Absolutely love the cat story! Will be chuckling all night. Okay, I tried my hardest to bring it down to 500 words and was only able to get it to 542. It was at 682. This was extremely harder than I thought so I can imagine how my students would feel.